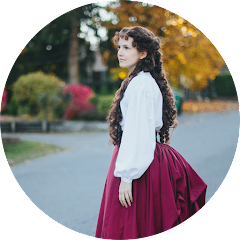 Today I'm wrapping up my Making Of posts for my 18th Century Inspired Dress, talking about how I made the petticoat/skirt. In the 18th century skirts were usually separate from the bodice and were referred to as petticoats, or "outer petticoats". The petticoat is made from 2 large rectangular pieces of fabric, approximately 50 inches wide each for a total circumference of approximately 100 inches. Once my pieces were cut I stitched the sides together with a 5/8 inch seam allowance, leaving the top 8 inches open for the side openings. 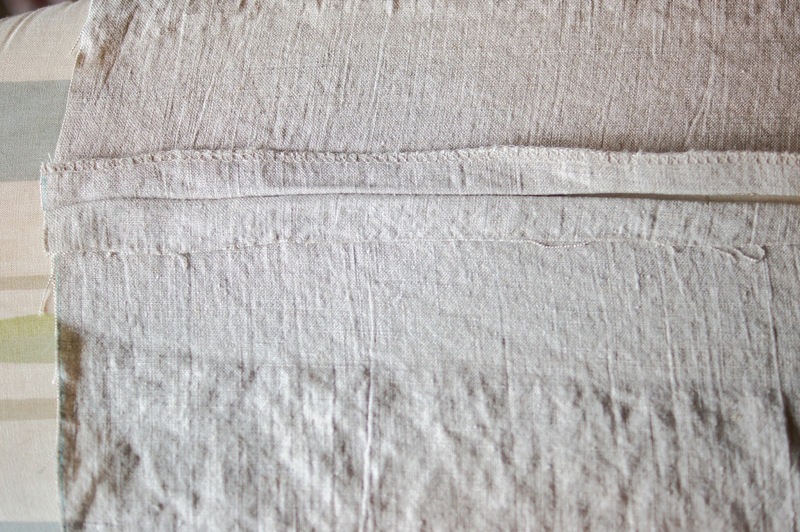 I folded the edges of the opening over once, then again to hide the raw edges, pressed, then hand stitched to hem the opening. 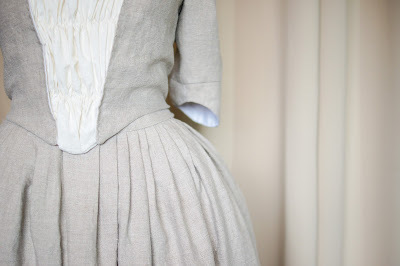 After this I pleated the skirt (which unfortunately I don't have any photo's of at this stage). I originally wanted to do cartridge pleats on the skirt but when I did a quick test I found that I didn't have enough fabric and I ended up with my backup plan of knife pleats. 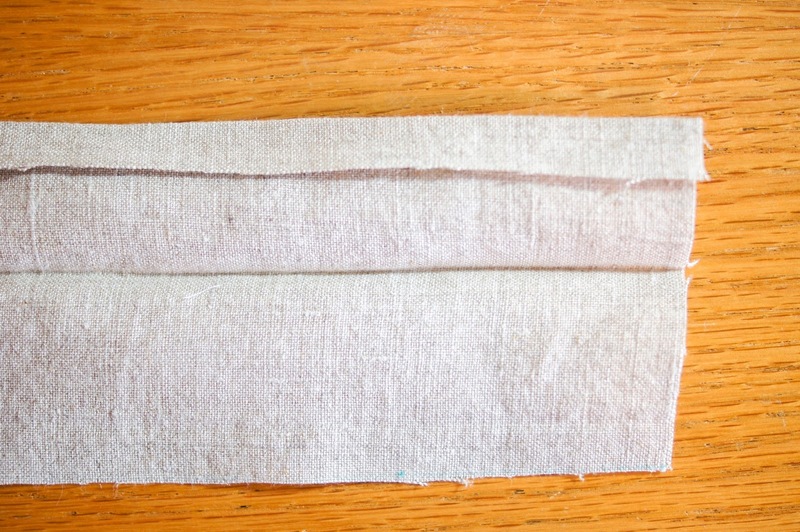 Next, the waistband. 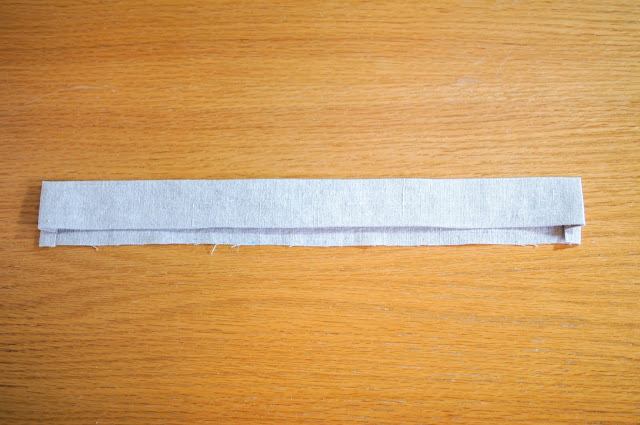 The waistband is created from two separate rectangular pieces. The shorter piece is for the front and the longer is for the back. Folding the waistband in half lengthwise I pressed, then opened it up and folded the top edge under half an inch. 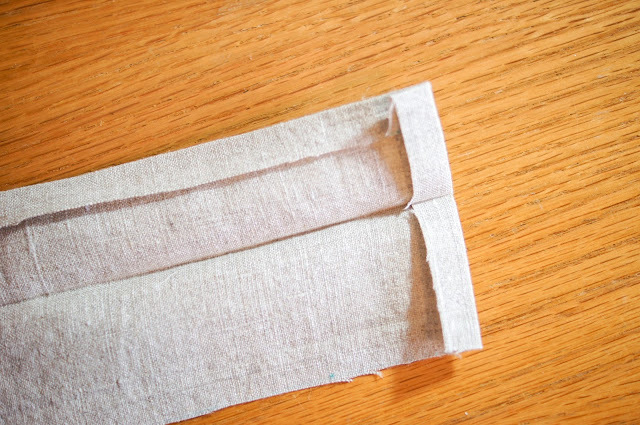 This is for after I attached it to the skirt and to hid the raw edges of the waistband later. 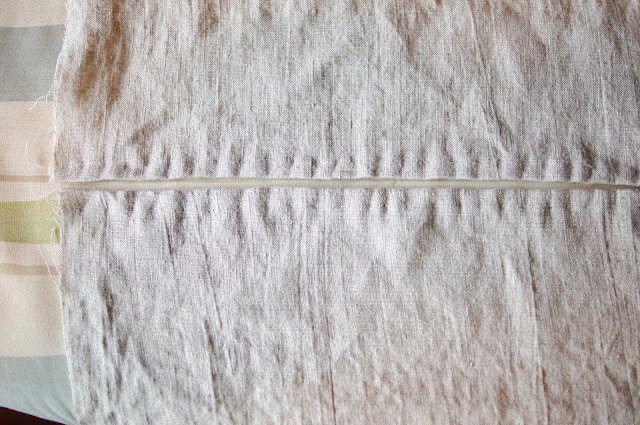 I also folded and pressed the ends in by half an inch. Opening the waistband, I placed it right sides together to the skirt and machine stitched. 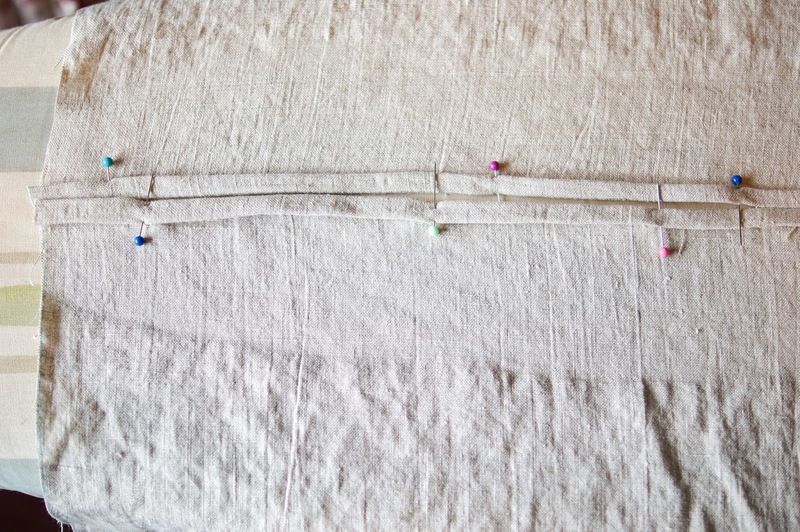 I then folded the waistband over, covering the raw edges of the skirt with the folded edge of the waistband and hand stitched it closed. 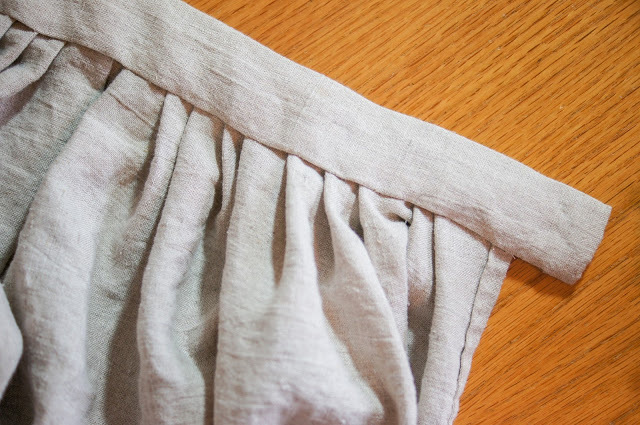 You'll notice that the edge of the waistband is longer on this part of the skirt. It's like this on the front waistband, but the waistband for the back sits flush with the width of the skirt. 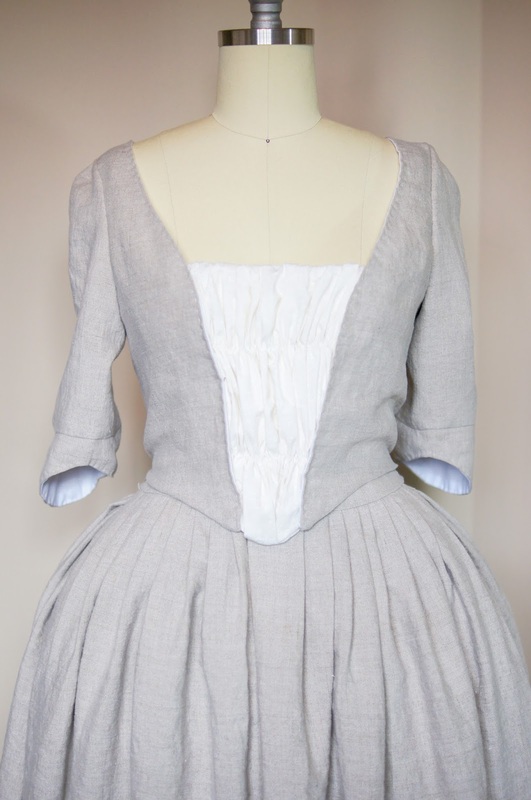 This is because I opted to go for a button closure, which isn't historically accurate from anything I've seen. I chose to do this because I liked the look and since I wasn't going for complete historical accuracy. 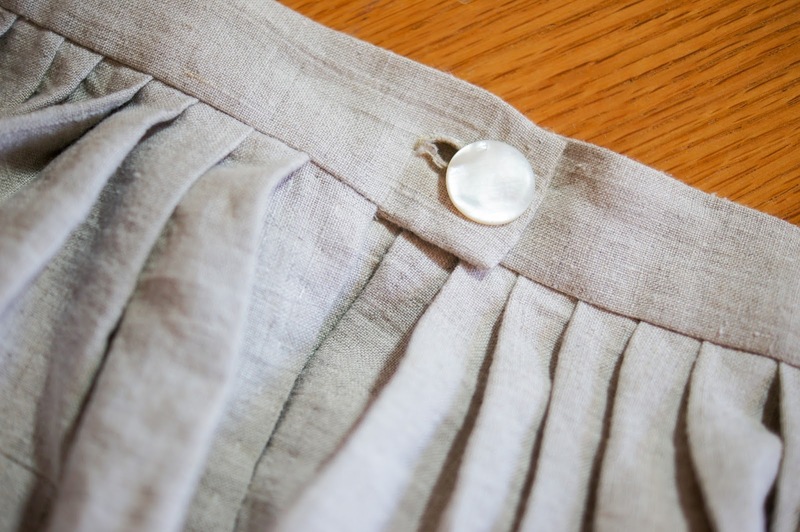 After attaching the back waistband the same way, I machine stitched button holes on the front waistband and stitched a couple of vintage mother of pearl buttons onto the back. And voila! The waistband was done. 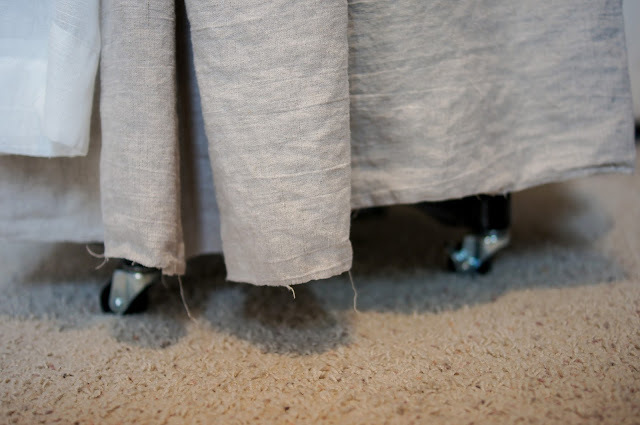 Lastly I had to hem the skirt. 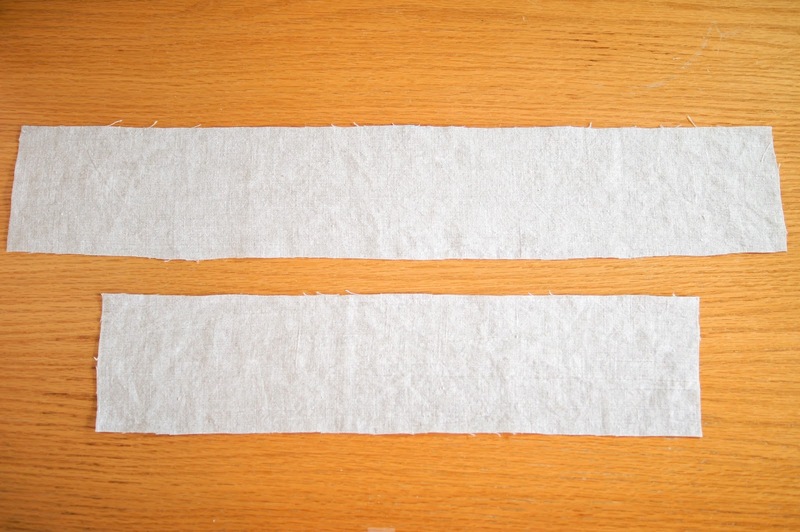 Because of the bum pad worn under the petticoats the straight edge of the skirt was higher in the back (right). 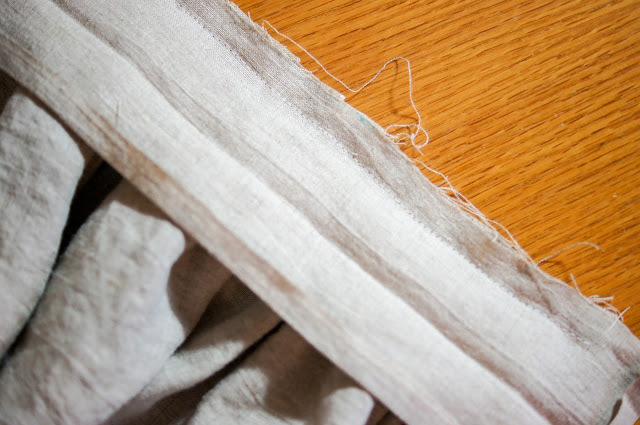 I had to cut the skirt so it was even all the way around before hemming, which I did by hand. And that's it! I still haven't gotten any photo's of this dress worn, but hopefully I will soon. That's a really good idea on the cartridge pleats, unfortunately I still don't think that would have worked. lol I'll have to keep that in mind for future projects though.